With the November NH Sale fast approaching, graduate GALOP MARIN provided a timely boost for the sale winning the Grade 1 Grand Prix d'Automne impressively at Auteuil by 15 lengths. The son of the late Black Sam Bellamy boasts three consecutive wins with two Grade 3 contests and now a Grade 1 to his credit. 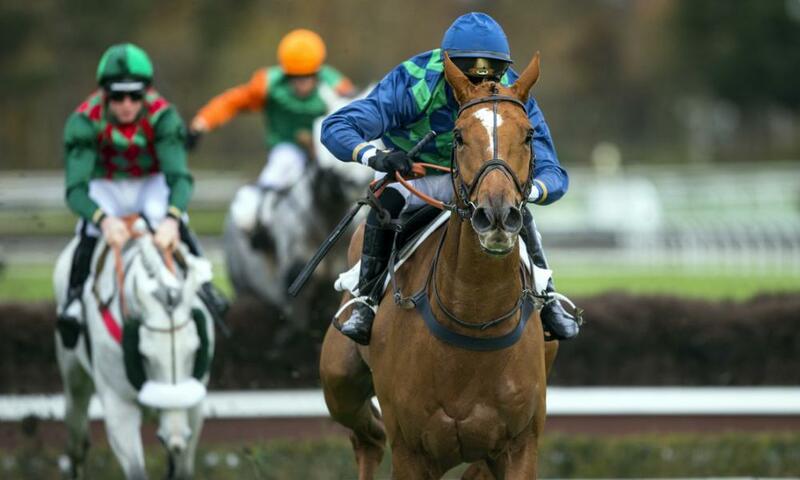 Trained by Dominique Bressou, GALOP MARIN was purchased as a yearling at the 2013 November NH Sale by Agencie FIPS for his owner Mme Patrick Papot for €13,000 from Crossogue Stud. At Down Royal, a high-quality contest went to post for the Grade 2 Chase which was won by November NH Sale graduate SNOW FALCON for the in-form Noel Meade stable. The son of the late Presenting landed a much deserved first Graded success over fences in the colours of Mrs Patricia Hunt. SNOW FALCON was sold as a foal at the November NH Sale by breeder Sean Gorman's Cleaboy Stud & Coppice Farm for €42,000 to Caucestown House. The 2018 November NH Sale takes place from Sunday 11 November - Friday 16 November. The sale starts at 10am each day and 11am on Friday 16 November. Catalogue is available online and from the Tattersalls Ireland office.